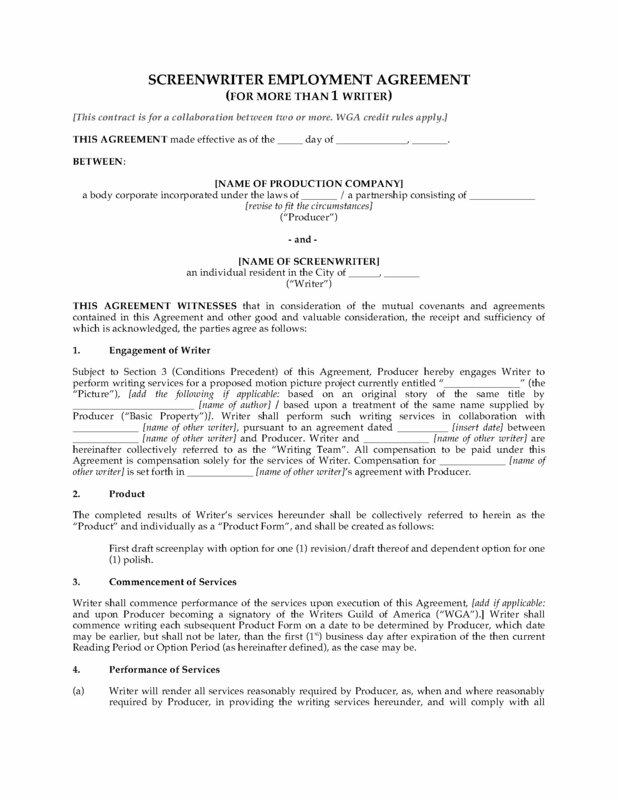 Hire a team of two or more screenwriters to write the screenplay for a motion picture project with this USA Screenwriter Employment Agreement template. 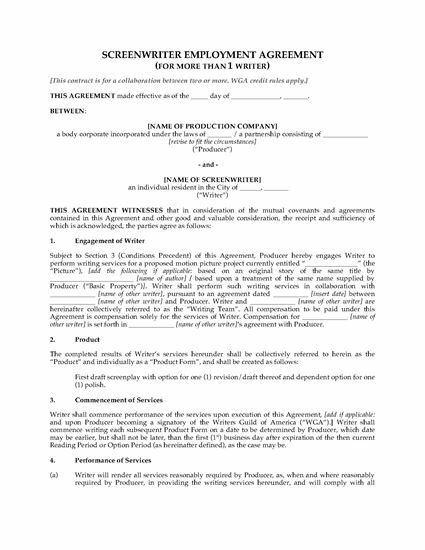 The agreement is controlled by the applicable Writers Guild of America (WGA) Theatrical and Television Agreement. 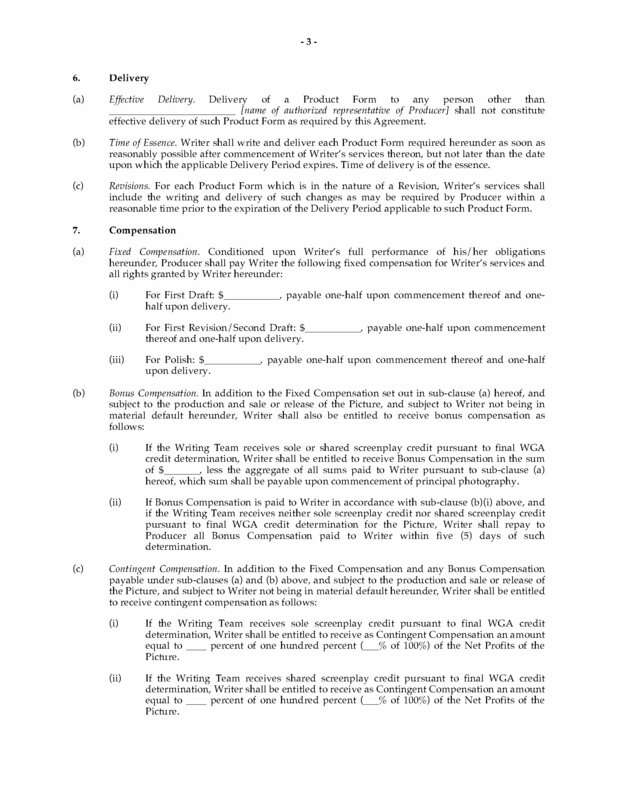 The writers will be entitled to fixed compensation (flat fee), plus bonus compensation (based on final production budgets and credit allocation), and contingent compensation (calculated as a percentage of the net profits of the picture). The writers will also get additional compensation for sequels and remakes of the picture, and episode and rerun compensation for any television series based on the screenplay. The producer will have sole ownership to the screenplay and all materials created in connection with the screenplay, including moral rights. The writer acknowledges that the services are provided to the producer as a work made for hire. The writers are required to maintain membership in good standing in the applicable labor organization(s) throughout their engagement under the agreement. Download the USA Screenwriter Employment Agreement for Writing Team - it's fully customizable and can be re-used on multiple projects. 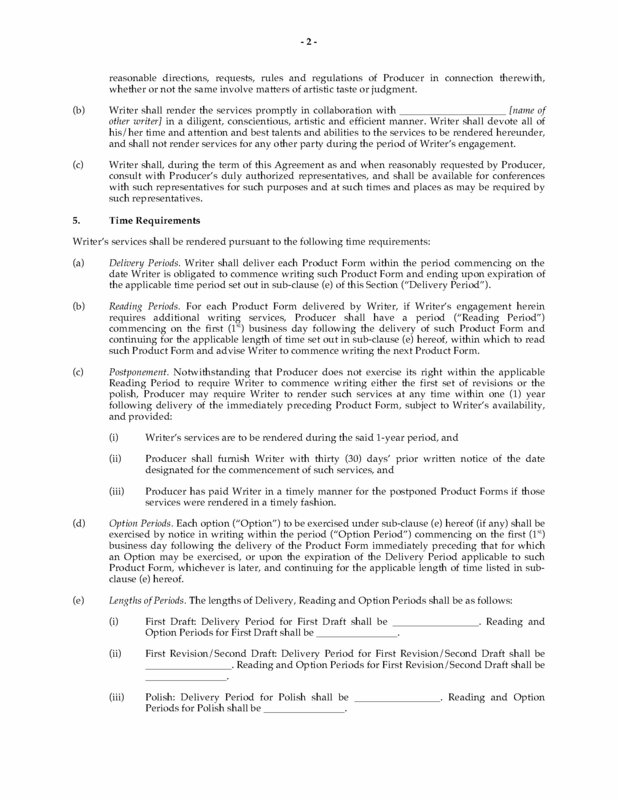 Retain illustrators, writers, editors and other independent contractors with this template USA Work for Hire Agreement for publishers and publishing houses. The contractor agrees to provide the publisher with the services and create the work strictly on a work made for hire basis, for a one-time fee. The publisher will retain sole ownership and title to the work created by the contractor under the Agreement. This is a reusable legal template. Buy it, download it, then use it as often as you require. The Agreement is governed by U.S. laws. Work for hire contracts are the most advantageous arrangements for a publisher. 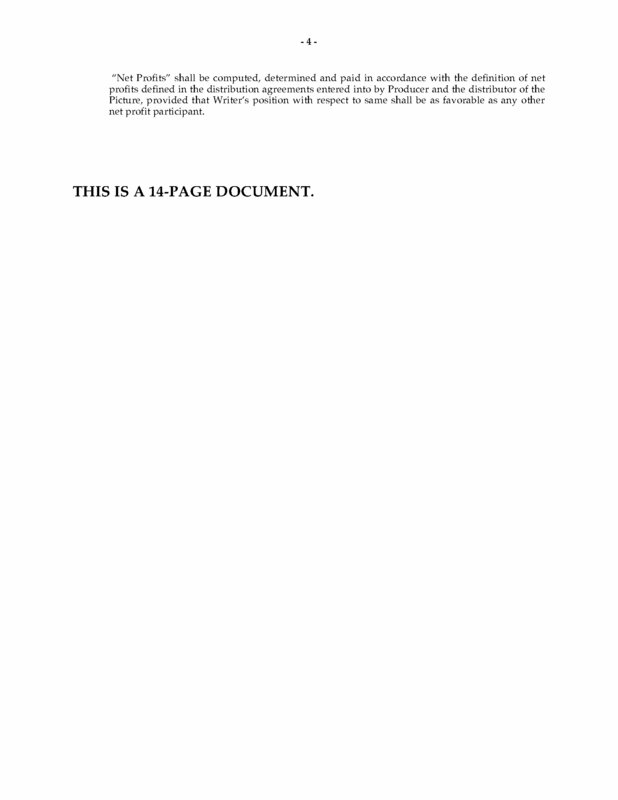 Get this downloadable template USA Work for Hire Agreement for Artists and Writers and tailor it to your exact requirements.